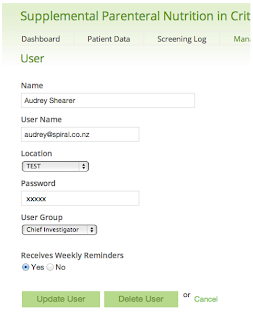 After requests to include reminders for follow-ups in the Spinnaker we are pleased to announce they have been implemented in the Supp PN Nutrition Trial. 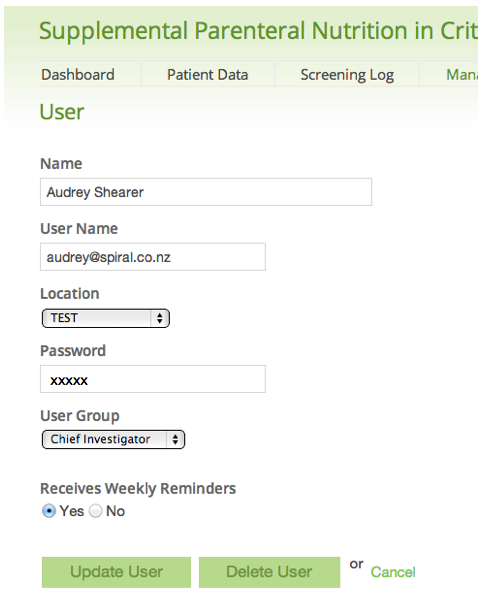 Reminders will now form part of the core Spinnaker software, which means everyone gets them when they use our software. We had to make some changes to the user profile settings so that people could opt in or opt out of receiving the reminders. We hope you find this a useful addition.